Not So Cli-Shéa: Save the Dates! Today I wanted to discuss "Save the Dates". An idea that my mom finds utterly ridiculous, "Why do you need to tell people to save the date? Isn't that what the INVITATION is for??" Obviously I could take the hint, she wouldn't be helping me pay for them. If you know me, you know that's no problem at all! The more wedding projects that I can conquer myself, the better! What a cute idea! We've all seen the postcard Save the Date, or the magnet, or even the event ticket, but I've never seen little stickers! Danica and I instantly fell in love with the clever idea and the added bonus, it was a free download! 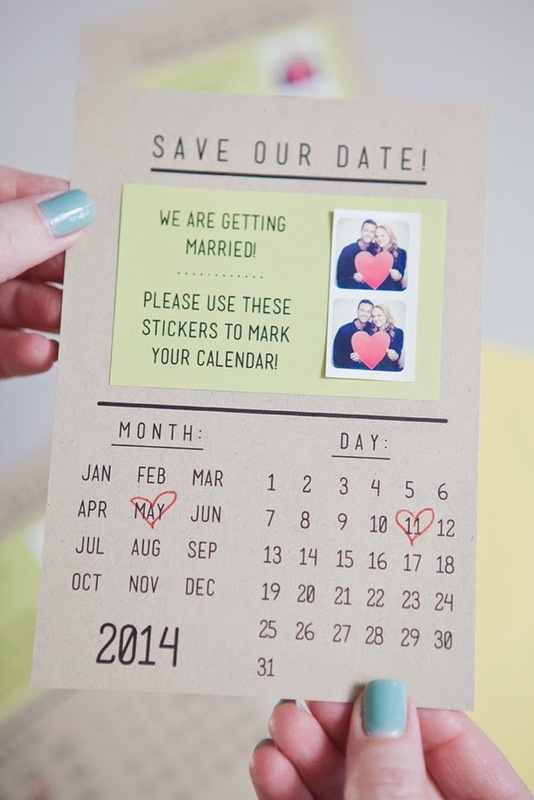 Once I got a little more serious about the idea, I even saw that they had an updated version of the calendar sticker Save the Dates! After looking at the free printables, while I loved the idea of them, I decided that I wasn't in love with them. So I made the daring move to create some of my own. After finding two fonts that I really liked and lots of tweaking I finally ended up happy with my final product. Save the Dates - Tutorial!